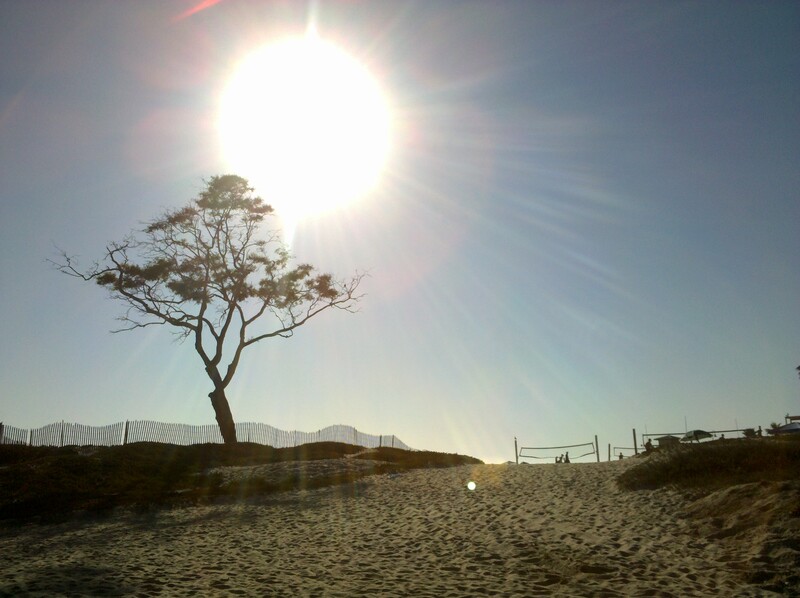 The 2010 Carpinteria Triathlon Sprint starts tomorrow morning at 8:13am. This is my 8th triathlon and my last planned triathlon of the 2010 season. It seems like a sudden and unexpected end to my 2010 triathlon season journey. The 2010 journey has been full of unexpected moments, unexpected people, and true tests of my devotion to the triathlon sport. I certainly didn’t expect to lose my my personal trainer in the aftermath of Ventura. I also didn’t expect to be stung by a bee and end up nearly dead a few hours later. In fact, the shear thought that I am sitting here typing this post excites me, for I am a live, I can look forward to 2011, and I can say that I have learned SO MUCH this year. Going into tomorrow’s event is the culmination of these events. While a few months ago I couldn’t stop thinking about how much of a personal record I would have over last year’s Carp Tri, tonight, I can’t thinking about how lucky I am just to be content with finishing. Tomorrow, numbers are meaningless… tomorrow is about enjoying the journey, enjoying the triathletes and their families, enjoying the venue and simply enjoying the fact that I am here. Sure the swim is going to be hard, long and cold. The 9-mile bike will be exciting, fun and fast. The 5k run will be excruciating, a mental test, and full of joy. It is a triathlon and despite the lost dreams of a few months back, it is the beginning of a new journey. Many of you have asked what my future in triathlons will look like. I admit, I was on the fence about what would happen with the Carp Tri and what my 2011 goals would look like. I felt crushed and demotivated after the Santa Barbara Triathlon and then the bee incident a few days later. It seemed like someone upstairs was trying to send me a message and I considered hanging up my wetsuit. However, I have come to realize a few things since then. You are only as good as your support network. With the changes following Ventura and the realization of who has your back and who doesn’t, it quickly became clear that I was barking up the wrong tree. Sure they are great people, but they aren’t the people that will launch me into a top 25% finish. Success only comes when you have everything else in place. Success is not luck. Throughout the events of this year, I came to realize that there are so many more components to success than I realized originally. Components that include experience, coaches, nutrition, and a few basic life principles. Somehow, some of these were neglected, some weren’t even on the radar, and some just didn’t work. The journey must be fun. The journey is not about training countless hours. It is not solely about spending endless hours in the pool perfecting a technique. The journey is about the everyday moments of life that include sharing with others, waking up to see the sun in the morning, feeling the sun on your face, and being there to help others achieve their successes. Good talent comes at a price. There is a reason that the top triathlon coaches cost a lot. There is also a reason that some trainers come cheap. You get what you pay for and to achieve my goals for 2011, I am going to have to reach high and dig deep to bring on coaches that can get me there. Coaches with experience, coaches with all their pieces put in place that know how to make the journey fun. While I can go on with a few more points, these four are the most important. They can make or break a triathlete and lead to endless successes when in good order. With these in mind, I set my eye on the prize in 2011. So, tomorrow morning at 8:13am I will dive in the freezing cold water and side stroke, crawl, and doggie paddle my way to the transition area. After an exhilarating ride and a painful run, I will have finished the 2010 Carpinteria Triathlon course and my 8th triathlon. I will relish in the achievement, the joy of doing, and the pain. It may not be a personal record, but at least I did it and I will have yet another story to tell the grandkids in a few years. This entry was posted in Commentary, Competitions, Fitness, inspiration, milestones, Triathlon Charts, triathlon training and tagged Aric's Journey, Carpinteria Triathlon, Triathlon, triathlon training. Bookmark the permalink. Good luck Aric. You’ve got the right attitude!